Wally Borland is a native Sacramentan. After 30 years in the loan business, he still gets a big charge out of meeting with borrowers and helping them make the best choice for their mortgage loan needs. Wally graduated from California State University, Sacramento with a bachelor’s degree in business administration. He's a long-time member of the Hornet Club, Lifetime member of the Alumni Association and member of the board of directors. He's also a member of the Breakfast Optimist Club currently serving as President. 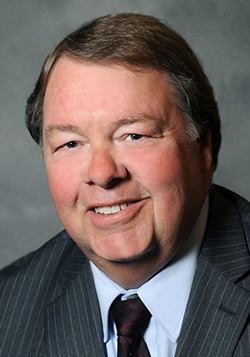 Member of Phi Kappa Tau Fraternity during college and currently serving as Chairman of the Board of Governors, and mentor to the young men in the chapter. Wally is a baseball fan and historian and loves to play golf. He also loves to travel with his wife Liz- they went on a car tour of the New England States in the fall of 2014. They also went on a Mediterranean Cruise in 2015 and to Switzerland in 2016.